Before you continue reading this, answer a few questions. Do you always put fitness first before anything else? Do you think that keeping track of your activities is an essential way to lead a healthy life? If you answered yes to both, then you will be able to relate why fitness trackers are a craze nowadays. A fitness tracker is a wrist-worn device that lets you monitor health indicators that were previously known only to medical experts. Measurements such as heart rate, sleep quality, and the number of calories you’ve burned are now more accessible even to commoners like us, thanks to the continuing growth of the fitness industry. 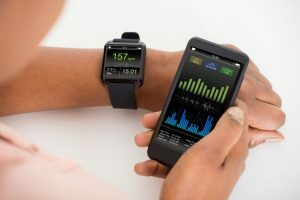 Of course, it shouldn’t come as surprise that many industry players are developing a wide array of health trackers just to get hold of the lucrative market. As a result, you, the consumer, are left with the daunting task of scoring that perfect fitness-monitoring device. If you still have not found what you’re looking for, take a look at our review about the Tantan Lohas01 Fitness Tracker. With the arrival of more sophisticated technologies, fitness trackers are gradually becoming more than just a wearable device that lets you count your steps. As you can infer from what we’ve stated earlier, the tough competition among companies lies in their products’ multi-functionality. And if you’re wondering how this Tantan item sets itself apart, we’ve rounded up some of its best features below. Its blood pressure-monitoring feature offers two modes: normal and personal. Through this, you can detect and assess whether your blood pressure level is still manageable. Another plus factor is that it also lets you easily see the time—simply turn over your wrist! Yes, you read it right—there are no taps needed! This Tantan offering comes with a 12-month warranty. You won’t have to worry too much or be anxious about the durability product. Plus, the company is also known for its easy-to-reach customer service. There are customers who claim that this is not water-resistant. Be extra careful whenever you’re wearing this device! The past few years saw the rapid rise of the wearable gadget industry (which covers devices such as fitness trackers). This is clear proof that more and more people are now trying to lead a healthy life. Just like other fitness trends (e.g. yoga classes, regularly hitting the gym), it looks like using activity trackers is here to stay. Don’t you want to monitor your different fitness indicators conveniently? Given that your answer is a big yes, answer this: Do you want to look sleek and stylish while keeping tab on your different fitness measures? You might want to try using the Tantan Lohas01 Fitness Tracker. With this device, you can now monitor your step, calories, heart rate, sleep and even blood pressure with just a few taps. 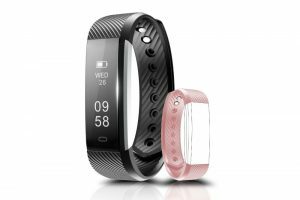 It is also loaded with other features that can up your fitness-monitoring game—from getting SNS/SMS/call notifications to letting you control your phone’s camera remotely.